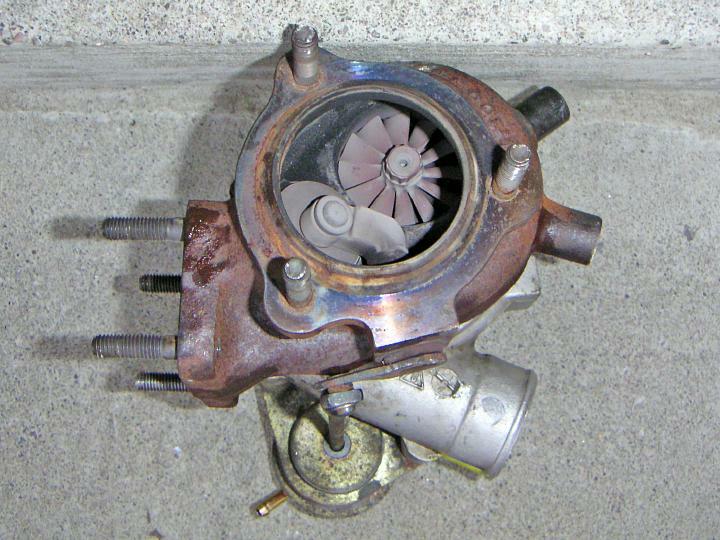 Turbocharger upgrade on a 1996 Saab 900. 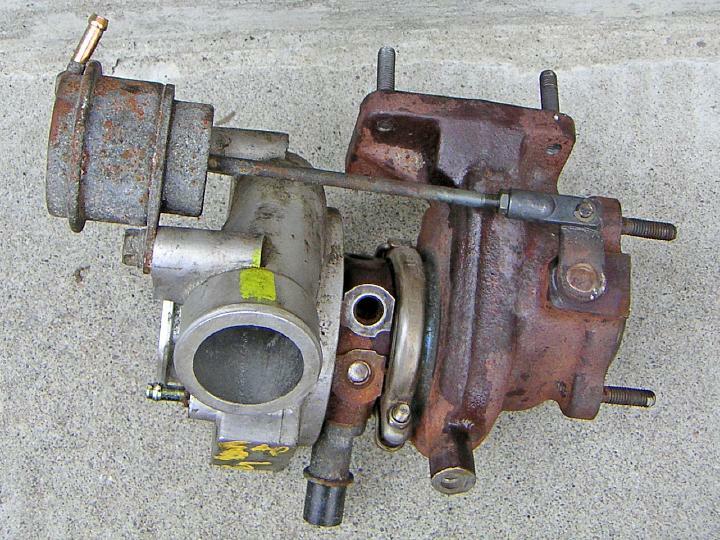 The stock Garrett T25 turbo is being replaced with a Mitsubishi TD04 turbo found on Aero and Viggen models. 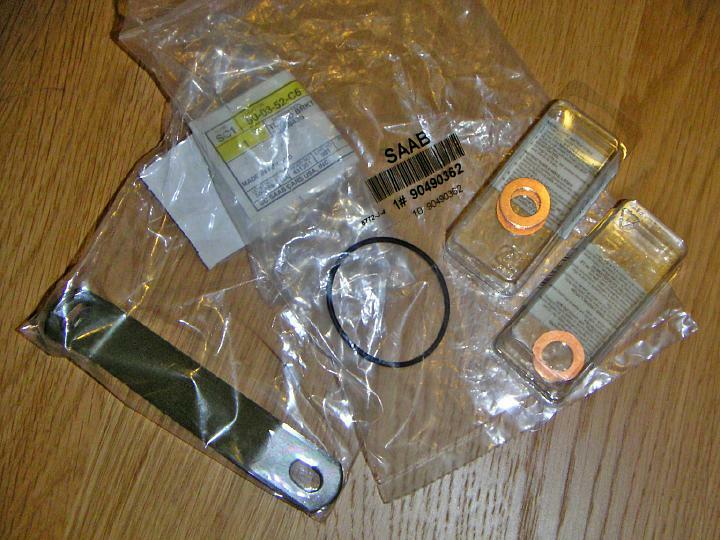 The procedure will be more or less similar for all Saabs using the B204-B235 engine family. 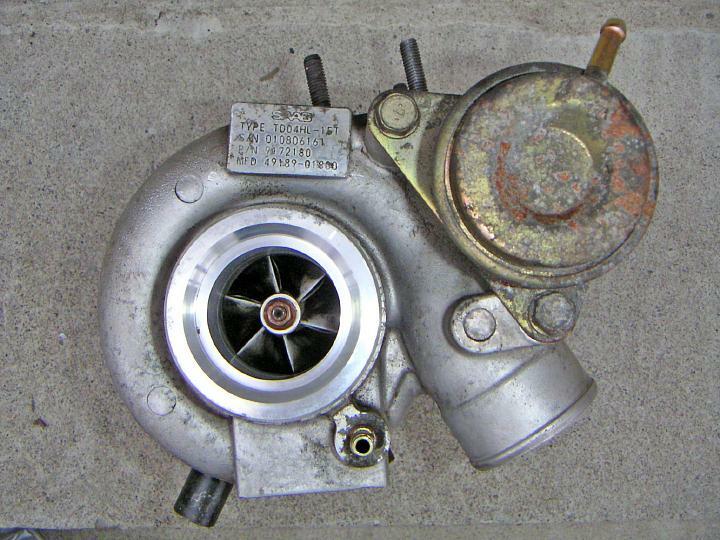 This article describes the installation only, for turbo removal instructions and more information refer to this document. YOU DO NOT NEED NEW OIL OR COOLANT LINES! That's right, you can reuse your existing oil and coolant lines as long as they are in a good condition: not plugged, bent or cracked. If your replacement turbo comes with new lines - good for you. If not, don't bother trying to source OEM lines or waste the money on the custom ones. All you need is two M12 banjos and four copper washers with a ½" inner diameter hole. 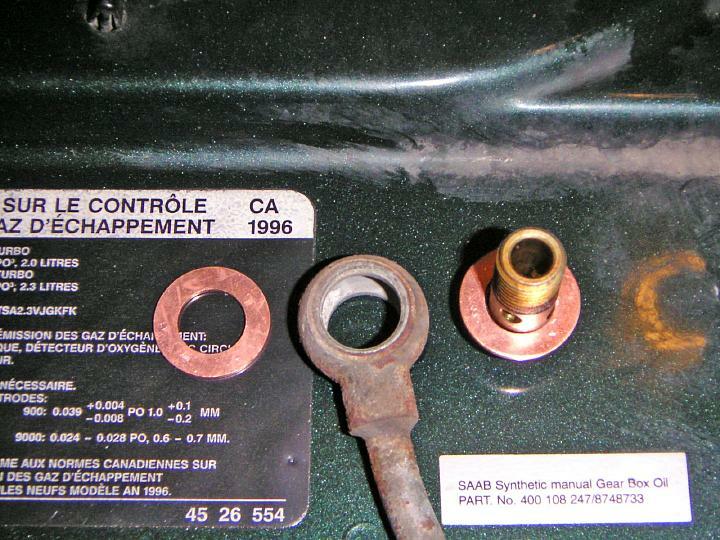 If you want details, here's a more detailed explanation on oil and coolant line compatibility. 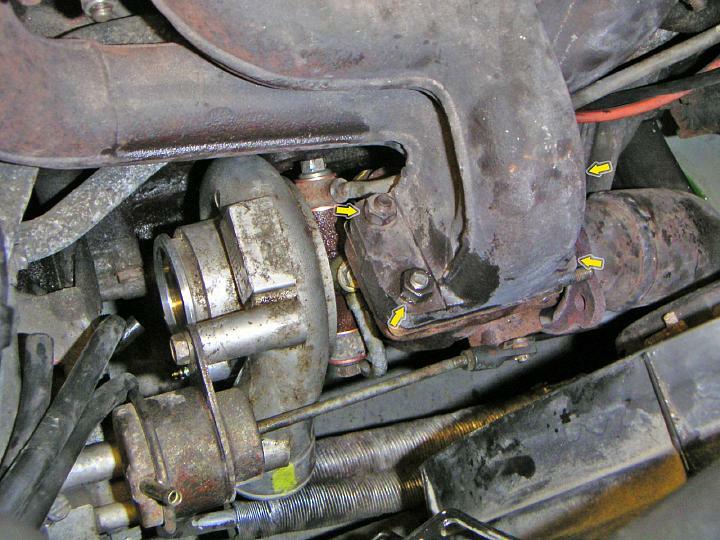 There are four lines between the engine and the turbo -- two oil and two coolant passages. 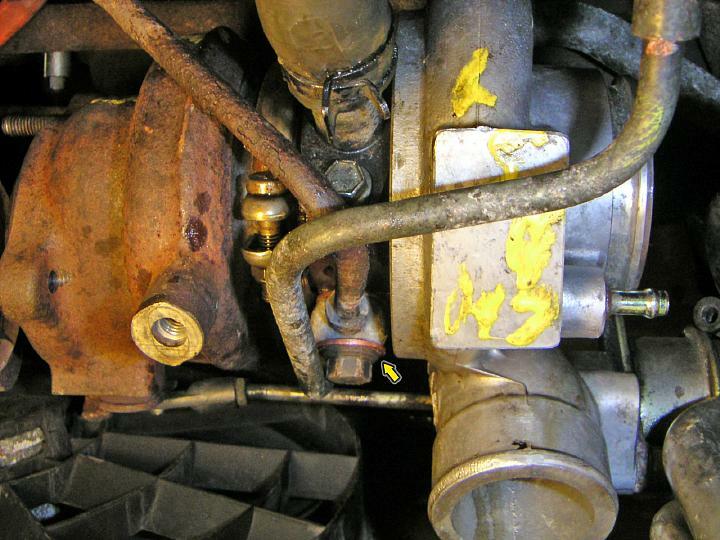 The oil feed line goes from the oil filter housing to the top of the turbo. The banjo bolts have an M14 thread on the engine side and M12 thread on the turbo. 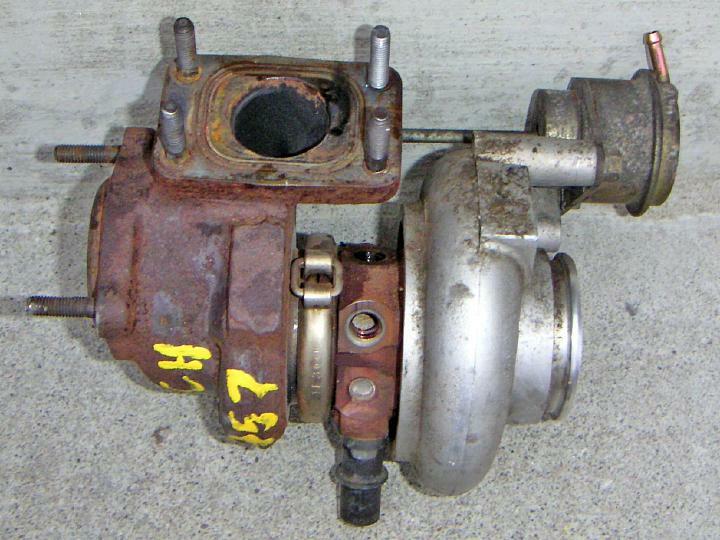 Ideally, you should use a new line when installing a turbo, or at least clean the old one from sludge and deposits. 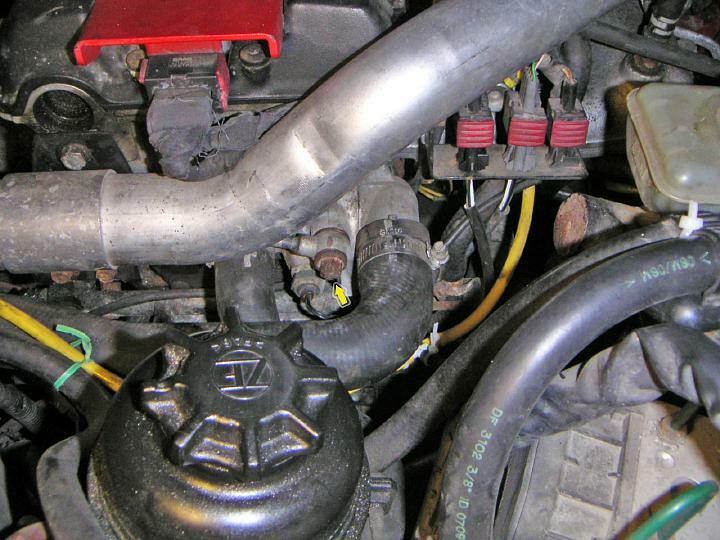 The silicone oil return hose goes from the bottom of the turbo to the oil pan. Both turbo and the engine side ports are noticeably narrower on the TD04/GT17 compared to T25, and the T25 pipe doesn't bolt onto the TD04. However, if you're upgrading to TD04, it's possible to find a smaller-sized hose that would fit tightly on the thicker stock oil pan port and hold onto the smaller pipe coming out of the TD04 with a help of a good clamp. A stock hose that comes with TD04 is stretchy enough to fit on the thicker pipe on B204L. 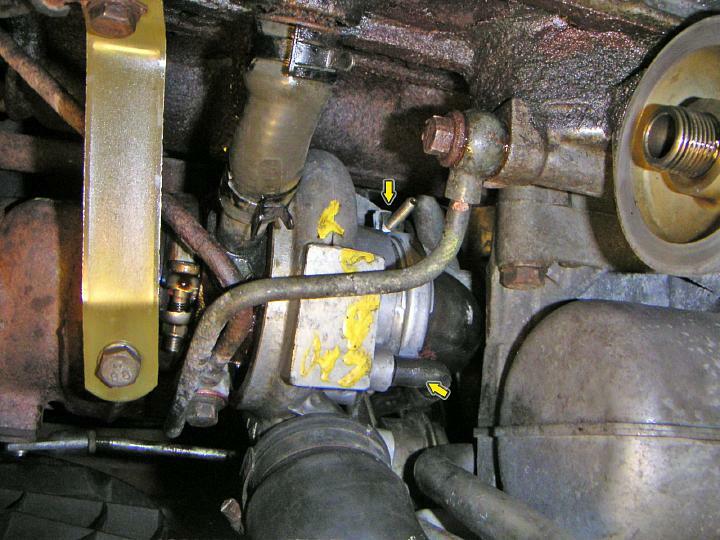 The lower coolant line goes from the front of the turbo to the water pump, except for B204L where it's connected to a port under the 4th cylinder. 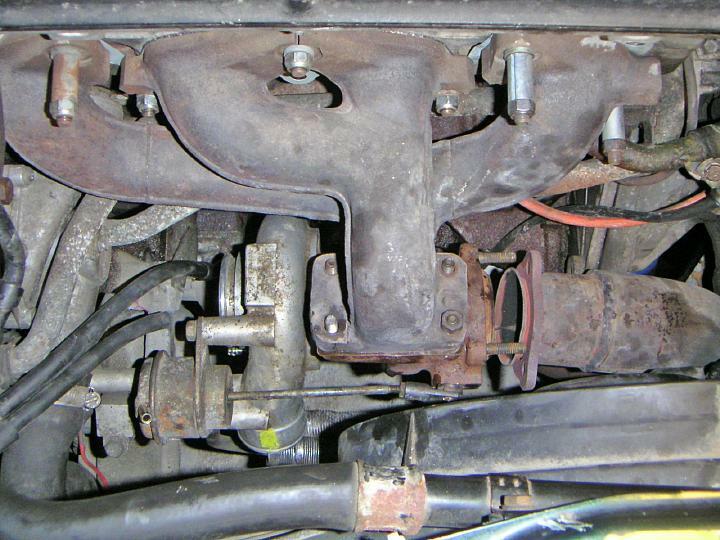 The former version uses a banjo with an M12 thread on the engine side, the latter has M14. The turbos are an ever bigger mess: the TD04 has an M12 thread, the T25/GT17 have M14, and the older T25 from the 1990-1993 9000s have an odd thread of M16. 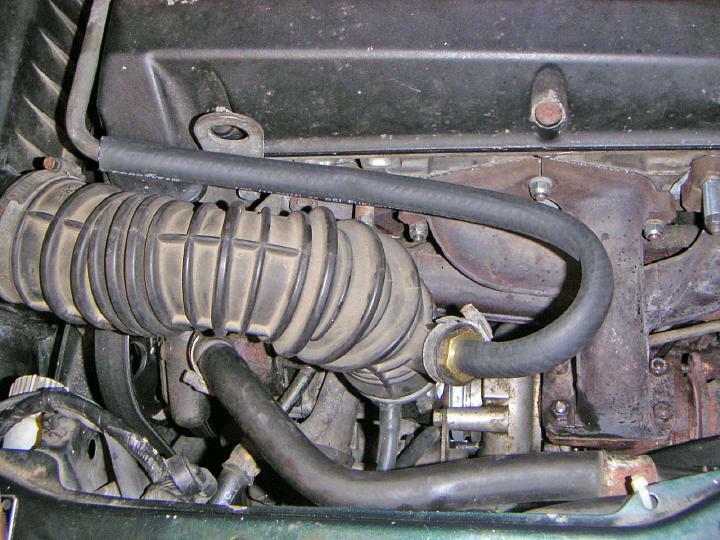 The upper coolant line goes from the rear of the turbo to the upper left side of the engine, near the upper radiator hose. The banjo bolts have an M14 thead on the engine, M14 thread on T25/GT17, and M12 on TD04. If you're upgrading to TD04 and don't have matching lines, you can use your stock lines with a 14 mm hole, just find a pair of wider copper washers and put them on 12 mm banjo bolts that go into TD04. Once again, a summary on the lines. If you're upgrading to TD04 from a T25 or GT17, your life will be easier if you get two M12 banjo bolts and proper coolant lines with 12 mm holes on the turbo side. These parts exist for B205/B235 (upper #9182460, lower #9174947), but with B204L you're out of luck, because you need a lower line that goes to the port under the fourth cylinder, and a version of such line with a 12 mm hole does not exist. Either way, if you find yourself missing the lines, use your old ones with wider washers on M12 banjos, just tighten them well. The oil feed line will fit as is (although it's often recommended to use a new one). 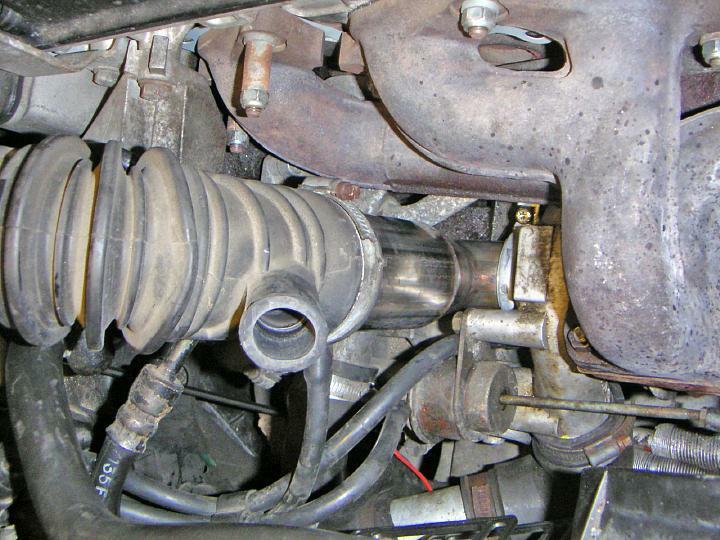 The silicone oil return line from GT17 fits fine, a car with T25 will need a narrower hose to replace the stock one. When upgrading from T25, you also need a new turbo inlet pipe and a manifold stay. On a Trionic7 car with a GT17, the stock inlet pipe will fit, but the car would still benefit from an upgraded high flow pipe. 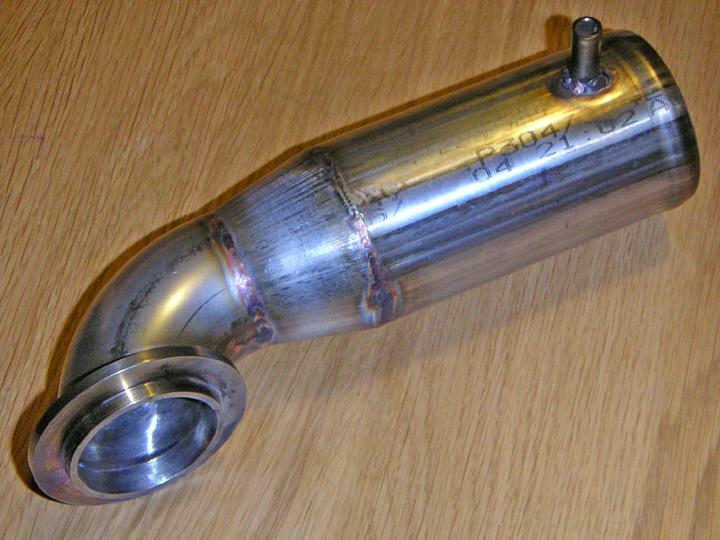 A beautiful stainless high-flow turbo inlet pipe custom made by Nick Taliaferro of genuinesaab.com. New seals, washers, clamps and a new turbo stay (my new turbo was missing it). It came from a 2002 Viggen. The full designation is TD04HL-15T. 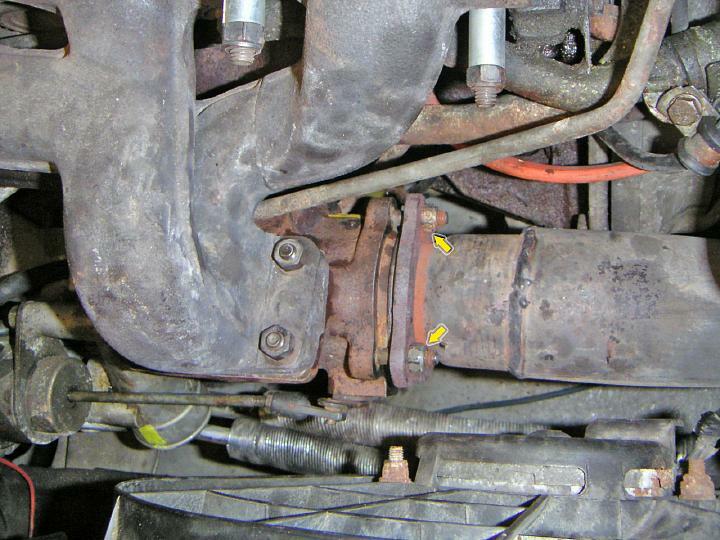 The exhaust manifold and downpipe flanges are the same as on T25, so the turbo will bolt right on. Put the turbo on the car with a new manifold gasket, and secure it with a nut or two. Don't tighten it yet to allow some movement until you connect all the lines. 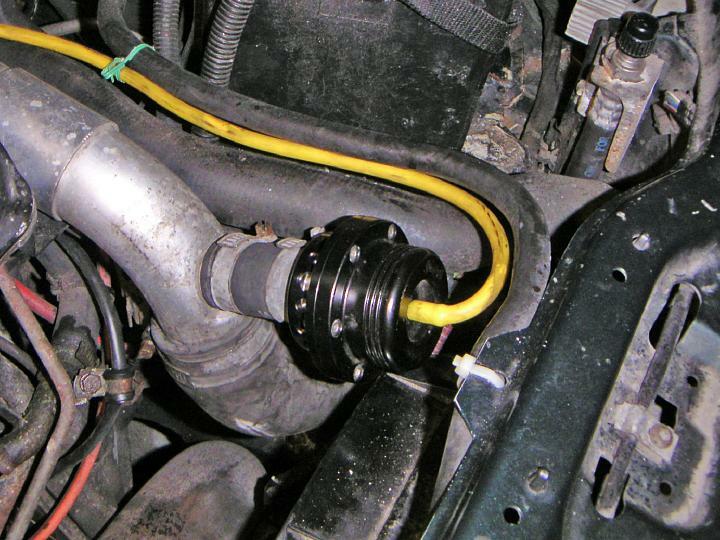 Install and clamp the oil return hose. If you're lucky to have the hose that comes with TD04, it should stretch to fit onto the thicker pipe on the B204L engine. Fill the turbo with engine oil and make sure it spins freely. Install the oil feed line. 12 mm TD04 banjo bolts are too small for 14 mm holes in stock coolant lines. If you can't get proper lines, you can work around using oversize copper washers. ½" drain plug washers will do. Put bigger washers on both sides of the line fitting. When tightening those later, apply enough torque to crush both washers. Take extra care to make sure the bolts are centered inside their holes. 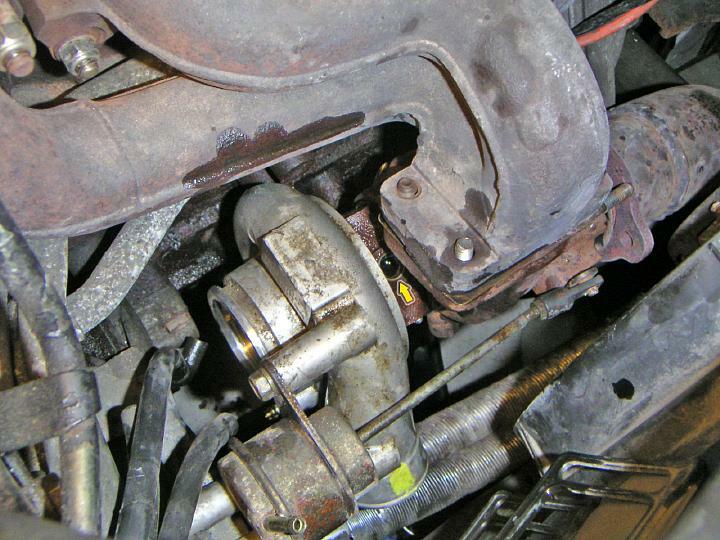 Attach the lower coolant line. Attach the upper coolant line. Bolt the turbo to the exhaust manifold (18.5 ft-lbs). Tighten all banjo bolts. Install the turbo stay bar. Do not forget to attach the O2 sensor clamp. Connect the downpipe to the turbo and tighten the nuts. Attach the intercooler hose to the compressor housing outlet. 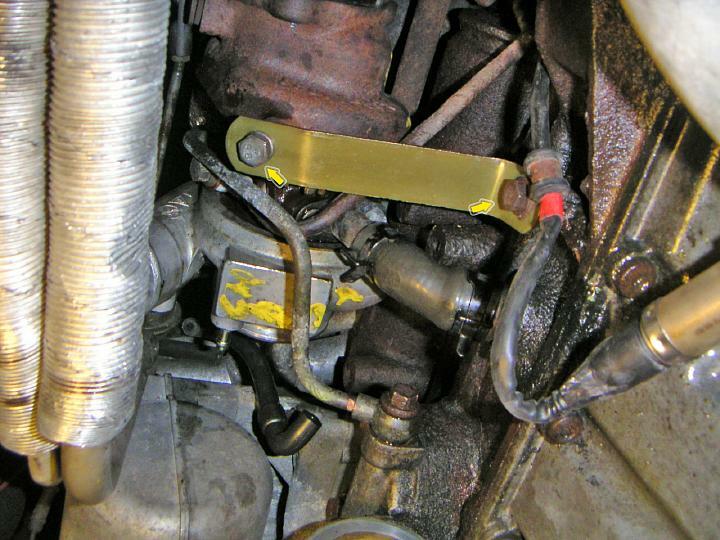 Install the turbo inlet pipe, tighten the clamp and fit BPC hoses. 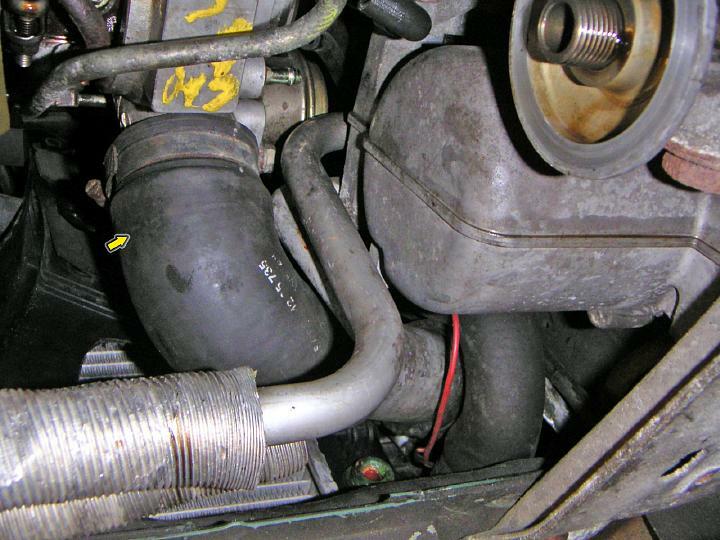 Install the rubber elbow between the air box and the turbo inlet pipe. Fit the crankcase vent hose. Some installations will have a barb for it, I had to improvise. 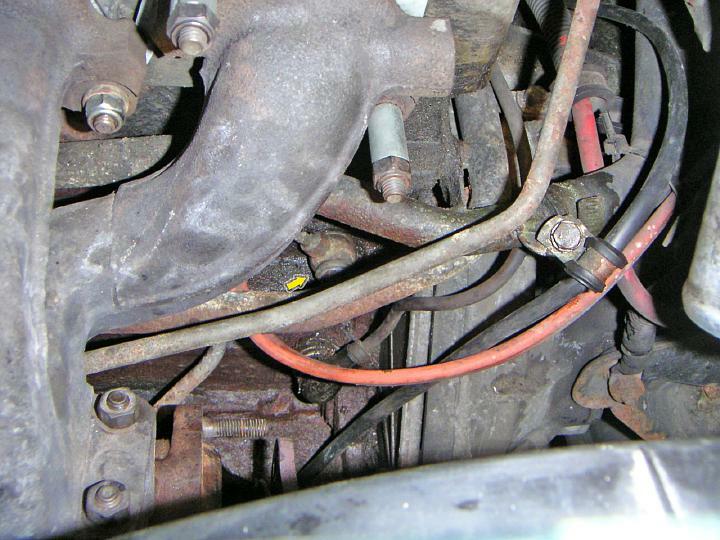 On this picture, the hose appears to be rather close to the manifold, while there's actually quite a bit of distance. Still, a heat resistant hose wouldn't hurt. 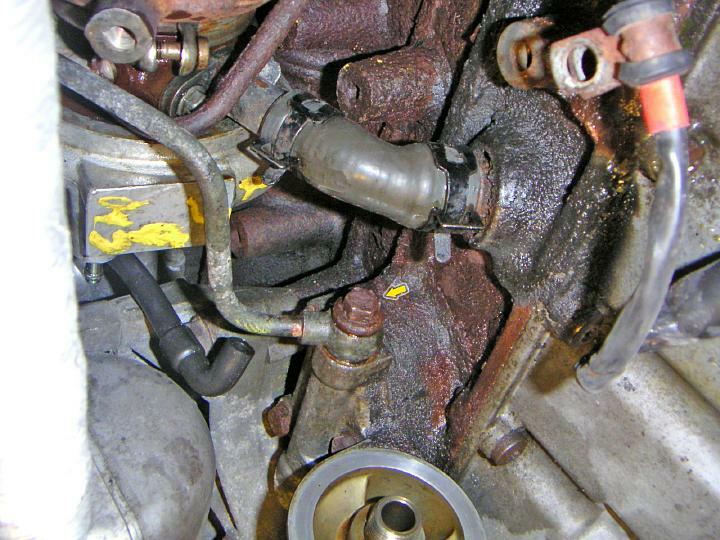 Attach the bypass or dump valve, whichever your car has. Fit the oil filter, fill oil and coolant, check for leaks from the banjo bolts on the turbo. 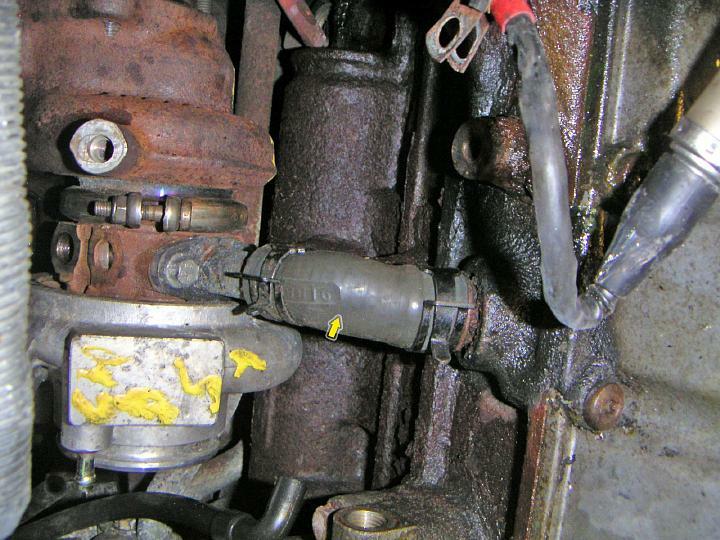 Before starting the car, crank it with a DI cassette plug disconnected and fuel pump fuse out to ensure some oil flow through the turbo.